In 1969, the church ended a century of running residential schools. It also committed to a new relationship with Indigenous peoples, heeding Charles Hendry’s call (Beyond Traplines), for a partnership based on solidarity, equality and mutual respect. Since that turning point, the church has slowly grown into its solidarity role, supporting our political struggles for self-determination, recognition of treaty and land rights, and respect for Mother Earth. For 47 years we have had Indigenous staff at the national office. Our council has found its voice and strength, and become the Anglican Council of Indigenous Peoples. Since 1989, fourteen Indigenous bishops have been elected; 10 First Nations, 3 Inuk and two Métis. Six are now retired; they are Charles Arthurson, Gordon Beardy, Benjamin Arreak, Andrew Atagoaaluk, Thomas Corston and Paul Idlout. In 1994 and in 1997, we responded joyfully to God’s sacred call and covenanted together to work for self-determination within the church. 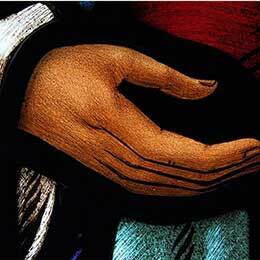 That New Covenant was accepted by the Anglican General Synod. 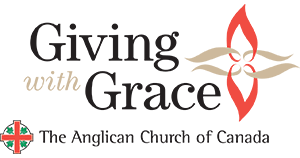 Through three national convocations (1988, 1993, and 1997) we reclaimed our identity as Indigenous Anglicans, and began to share and heal our pain from the residential schools. In 1993 we accepted from the Primate, Archbishop Michael Peers, an apology from the church for the residential-school system. Since 2000, five national Sacred Circles have been held with focus on healing, moving toward self – determination, finding and sharing our Indigenous voice and developing a true partnership with the Anglican Church of Canada. 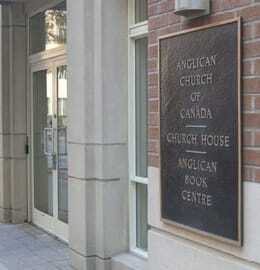 In a March of 2003, leaders of the Anglican Church from across Canada and Federal officials ratified an agreement that detailed the payment of compensation to victims with valid claims of sexual and physical abuse at Anglican-run residential schools. The All – Parties Settlement Agreement came later in 2005. Given the crisis in our communities and to insure the survival of Anglicanism in our territories, we call for the election and consecration of 15 aboriginal bishops within one year. These missionary bishops will be based in major southern cities and in the north. Each bishop is to be elected in a region. Each bishop will be supported spiritually and monetarily by aboriginal people, sharing justly in the historic, invested wealth of The Anglican Church of Canada. These bishops will be full Anglican bishops treated as equals of non-aboriginal bishops. They are to be welcoming of aboriginal traditions, teachings, and ceremonies. The Rev. 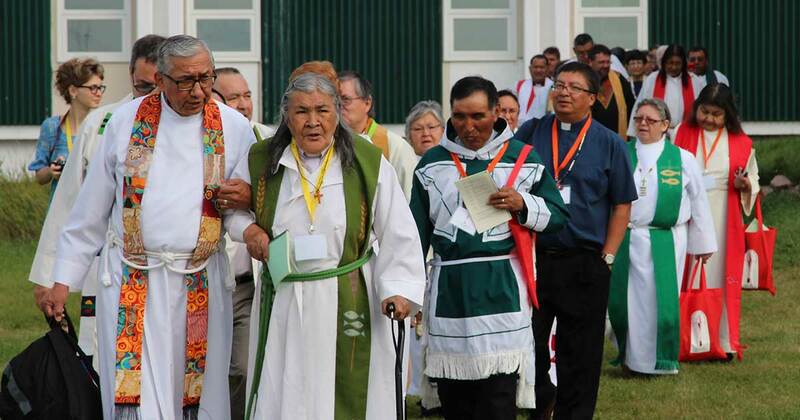 Barbara Andrews (Enoch Cree) was elected Bishop of the Anglican Parishes of the Central Interior, now Territory of the People, in June of 2009. “In what was described as an ‘historic moment’, the General Synod of the Anglican Church of Canada has approved the introduction of a new canon (church law) that firmly established a self-determining national indigenous ministry within the church. The resolution to establish Canon 22 was passed at General Synod 2010 in Halifax. In March of 2010, The Ven. Lydia Mamakwa (Oji – Cree) was elected Bishop for the area mission of Northern Ontario. Bishop Lydia Mamakwa and Bishop Mark MacDonald worked together to establish the Spiritual Ministry of Mishamikoweesh, a new diocese in the Anglican Church of Canada. This was approved by General Synod in 2013 and Lydia was installed as the first bishop in June of 2014. In 2012, the Ven. Adam Halkett (Cree), was elected area bishop of Missinipi (Northern Saskatchewan). At the General Synod of 2013, Canon 22 as amended, was also passed. This Canon solidified the Office of the National Indigenous Anglican Bishop and the ministry toward Indigenous self-determination. In the fall of 2014, the Indigenous House of Bishop’s Leadership Circle issued the statement, “Where We Are Today: Twenty Years after the Covenant, an Indigenous Call to Church Leadership.” The statement was presented and accepted at the 8thSacred Circle, “Lifted on Wings of Faith: Heeding the Indigenous Call,” in Port Elgin, Ontario. Begin small, use the model of Confederacy as outlined by Ginny; separate the Office of the NIAB from Programs of Church House. The Confederacy model develops at least three Indigenous regional area missions, with bishops and funds to support the ministry. Speak to Harry Huskins regarding incorporation. Work with a consultant for fundraising. Further define the ‘roles and duties’ of the NIAB. 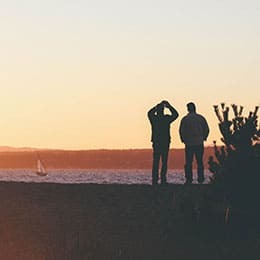 Develop a Regional Model that has both Indigenous Community and Urban ministry. Develop a financial plan to expand the office of the NIAB, to include an Archdeacon, programs funding and staff. Develop Financial Management for capital and O&M, business plans for regions and for the national. The church is based on First Nation Sovereignty and Treaty Rights. In December of 2016 the Corn Soup Meeting report was issued to The Focus Group for review and discussion. This report identified several points that needed to be considered as we move forward. In March of 2017, The Corn Soup II document was issued to The Focus Group for review and discussion. This document identified priorities for the journey and set forth a budget to fully fund three regional offices. Both were presented to ACIP for review, discussion and acceptance. At the General Synod of 2016, Primate Fred Hiltz called for a national consultation on Indigenous ministry self – determination. In September of 2017 the consultation, “The Road to Warm Springs” was held in Pinawa, Manitoba. The Rev. Riscylla Walsh – Shaw (Métis) was elected bishop for the Trent – Durham district, Diocese of Toronto in 2017. In 2017, The Ven. Sidney Black (Blackfoot) was elected bishop in the Diocese of Calgary. In 2017, The NIAB and leadership of Northern Manitoba, inspired by the “Road to Warm Springs” consultation on self – determination, resumed discussion and planning for an area mission and election of another Indigenous Bishop. Most recently, the Rupertsland Provincial Synod unanimously approved the election of two Indigenous bishops, one for Northern Manitoba and one for Northern Ontario. In the summer of 2018 the 9thSacred Circle, “Making and Strengthening Disciples: Reborn by Water and Spirit,” University of Northern British Columbia, Prince George, BC. The Statement, “An Indigenous Spiritual Movement, Becoming what God Intends us to Be” was presented. On September 24, 2018, the Ven. Isaiah “Larry” Beardy (Cree) was ordained and consecrated as the first bishop of Northern Manitoba in the Indigenous Spiritual Movement of Mishamikoweesh. On October 12, 2018, the Rev. Geoff Woodcroft (Métis) was ordained and consecrated as the Bishop Coadjutor for the Diocese of Rupert’s Land. The Rev. Chris Harper (Cree) was elected Bishop of Saskatoon in September of 2018. He will be ordained and consecrated on November 18, 2018. The Anglican Council of Indigenous Peoples and other Indigenous leaders are committed to further planning and discussion to restore the Circle with the self-determination vision of the Elder’s; to become and a fully Indigenous Church within the Anglican Church of Canada and walk together in partnership.